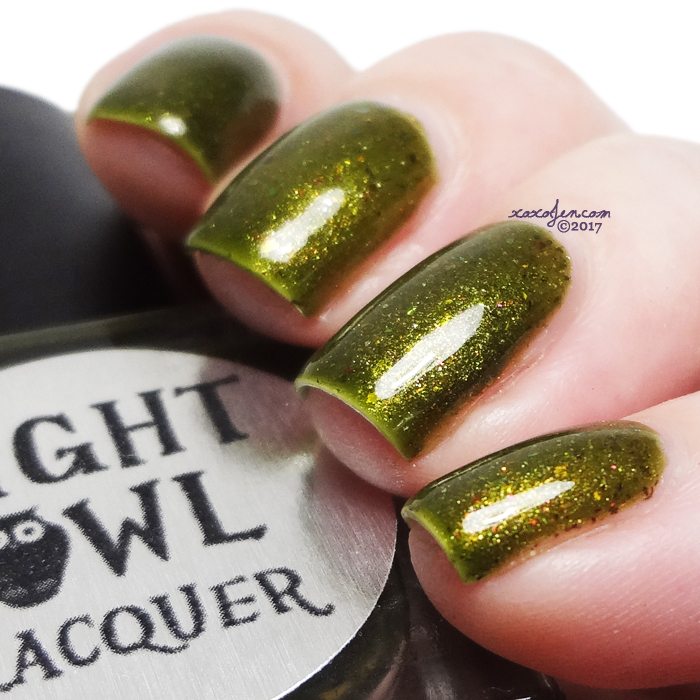 Night Owl Lacquer is part of the Polish Pick Up this month! She's created a beautiful olive shade packed with goodness. This polish and many others will be available at https://www.polishpickup.com/ on September 1st - 4th. The theme this month is Fall Foliage & Fun. 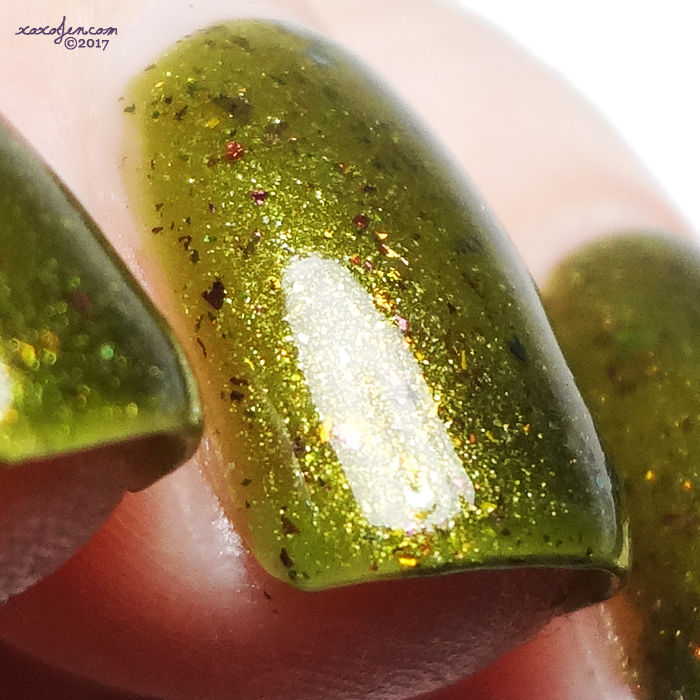 Pining For Fall - an olive green with bright golden shimmer and packed full of several different shades of shifting UCC flakies. Formula was perfection and two coats were just right for opacity. I've used the Tonic top coat, but this polish was fairly glossy on its own. Removal was easy and I didn't notice any staining while using a base coat of Gelous. I hope you've enjoyed the review, see ya next time! I really like the flakie bits in this green polish.